Allow us to introduce you to latent semantic indexing, a guaranteed way to improve your SEO and search engine rankings. Latent Semantic Indexing is the way that search engines like Google understand the relationship between words and content. If humanised, LSI is the way Google understands the meaning and intent of a word instead of just knowing the word as a series of letters. This understanding allows search engines to understand synonyms related to a main keyword and not rely just on the keywords itself for the context of a piece of writing. But how do you find out what words Google relates to your keyword? The easiest way is to ask Google directly. For example, if we searched for “golf” on Google, as well as our results we would be provided a list of related searches. This is the most direct way of finding out what links Google has created between search terms and this is a great starting point for a LSI keyword list. 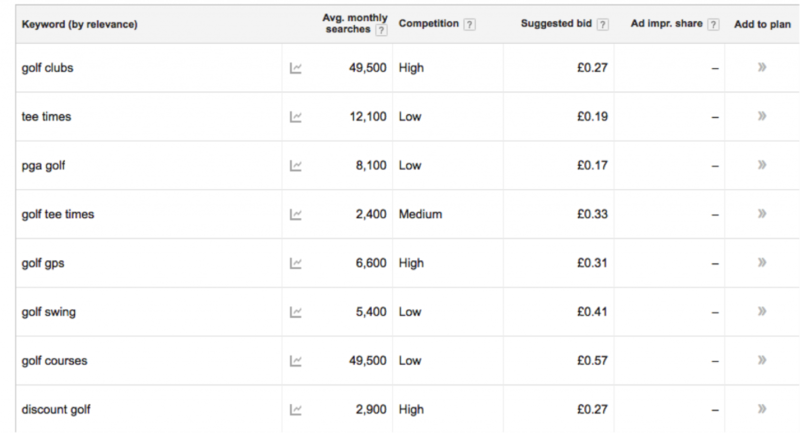 Alternatively you can use Google AdWords keyword planner tool. While this requires a Google AdWords account, it can be used to create an even larger list of LSI keywords from a single term. Using the term “golf” again, we can see a long list of keywords, as well as how popular they are as a search term. Finally you can use a variety of third-party latent semantic indexing tools that generate these lists for you. Sites like LSI Graph and Übersuggest will create a whole list of easy to copy and paste keywords for you to use in your next piece of content. But now that you’ve got your list, how do you use LSI keywords? As a rule of thumb, you should only include keywords that are directly relevant to what you’re writing about – remember you’re adding context to your content, not stuffing it with keywords. For example, if you were writing an article on “Top Tips to Improve Your Golf Swing” you might include ‘golf clubs’, as well as ‘golf drills’ and ‘golf practise’ but you certainly wouldn’t include ‘vw golf’ or ‘online golf’ – even if Google AdWords statistics show they have high numbers of searches per month – as tempting as it may be. These latter terms are not directly relevant to an article on golf technique nor the interest of the people searching for those terms and so including them would damage your LSI targeting. Once a context relevant list of keywords has been compiled, it is a simple case of working them into your content in a natural way and without usurping the importance of the central keyword – remember that the main keyword should always be the focus. LSI keywords can be placed in body text as well as any kind of page elements, including meta title tags, meta descriptions, header tags, permalinks, subheadings and even anchor text that point to the page. Latent Semantic Indexing offers a whole range of benefits across the digital platform, from the services themselves to publishers and marketers. It helps readers find relevant search results and helps publishers target their content. It increases SEO performance of well-written pages and improves the accuracy of search engine results. It is a must for any SEO and content strategy.